Subscribe to The American Legion’s Legislative Action Alerts to receive notifications. When they call on Legion Family members to take immediate action on legislative issues you will be notified. It’s very easy visit www.capwiz.com/legion/mlm/signup to subscribe. Another way is the American Legion’s Legislative Update and e-newsletters this will keep you informed on recurring veteran, military, budget and funding, healthcare, patriotism, and awareness issues. You will go to www.legion.org to subscribe. Finally you can order a copy of the ALA Legislative Advocacy Guide through Department Headquarters or download from their website at www.alaforveterans.org Follow the suggestions and guidelines to help build legislative awareness within your American Legion family and your community. This is a wonderful and exciting year for all of us, as Elections are in November. Always remember we are a non-partisan Legislative team fighting for our Veterans. We must keep an eye on our elected officials, hold them accountable for their actions towards the American Veterans. We must stay politically connected to our government. Write the member a personal letter and expect a response within thirty days. Do not use a form letter or postcard. If you haven’t heard from your member, call to ask for a meeting with the staff member in charge of veterans issues. Be concise at the meeting. Have your facts straight and all your sources. Request that your issue/concern be placed on the radar screen and supported by your member. If the above isn’t working, stand outside the member’s office or committee door. Introduce yourself when she/he passes by and tell them about your concern as simply as possible. Back up your statement with facts. Send a thank you letter for the time and support the member gives to your issue. Hold her/him accountable. Send a note of appreciation if she/he votes yes. Send a note questioning a no vote. The national organization of the American Legion Auxiliary has a National legislative Committee which works closely with the National Legislative Commission of The American Legion. The American legion Commission has offices in Washington. D.C. and continually promotes the passage of The American legion sponsored legislation. Departments of the American legion and Auxiliary also have Legislative Committees which function in a similar manner within the states. When measures important to the American Legion and American Legion Auxiliary are before the lawmaking bodies for consideration appeals go out for support on these measures. At such times the unit members should contact their representatives urging them to take the action desired. 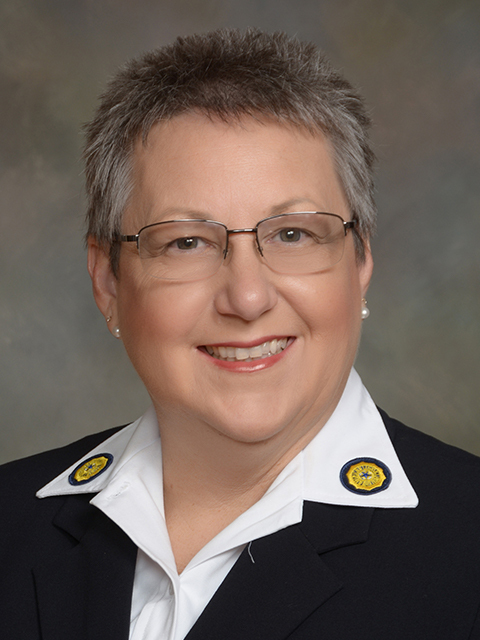 In al matters of legislation the American Legion Auxiliary follows the action of The American Legion, never endorsing any measure until The American legion Has firs endorsed it and never following a policy which does not coincide exactly with The American legion’s stand. The Department Conventions formulate the legislative program for each Department and also follow the action of The American Legion Department Convention. They outline the policy to be followed in regard to measures to come before the legislatures of their stats and also pass resolutions on national measures to be referred to the national Conventions. The legislative activities of the Unit may be handled by the Unit President, by a standing Unit committee, or by a special committee appointed to conduct the work in special emergencies. The legislative matters usually deal with some other phase of Auxiliary work, such as Veterans Affairs and Rehabilitation – getting beneficial legislation for veterans; Children and Youth – securing legislation beneficial to children of veterans and children generally; National Security – securing national security measures; or Americanism – obtaining the passage of measures to promote better citizenship or to curb the activities of radicals. The arousing of public sentiment in support of such measures might well be left to the committee handling the activity under which they fall. All Unit Legislative Chairmen should subscribe to The Dispatch. The American Legion’s publication. This biweekly newspaper describes current legislative issues and other news pertinent to The American Legion family. Subscription requests with payment should be sent to The Dispatch, The American Legion , PO Box 1055, Indianapolis, IN 46206. An award will be presented to the Department Chairman in each Division reporting the most outstanding overall Legislative Program. All entries are to be in narrative form and are not to exceed 1,000 words. Pictures, clippings, scrapbooks, folders, etc. are not to be included. Only those reports that include return postage will be returned. The Department Chairman must submit her entry to the Division Chairman on or before June 1. An award will be presented to the unit Chairman in each Division reporting the most outstanding overall Legislative Program. All entries are to be in narrative form and are not to exceed 1,000 words. Pictures, clippings, scrapbooks, folders, etc..are not to be included. Only those reports that include return postage will be returned. Entries are to be judged at the Department level and one winning entry from each Department is to be forwarded to the Division Chairman on or before June 1. An award will be presented to the Unit Chairman in each Division reporting the most outstanding overall “Getting to Know Your Legislators” Program. All entries are to be in narrative form and are not to exceed 1,000 words. Pictures, clippings, scrapbooks, folders, etc. are not to be included. Only those reports that include return postage will be returned. Entries are to be judged at the Department level and one winning entry form each Department is to be forwarded to the Division Chairman on or before June 1. The number of congressional responses in relationship to the Department’s membership. The timeliness of congressional responses forwarded to the National Legislative Commission, The American Legion. For accounting purposes, citation eligibility will be based upon congressional responses received in the Legislative Commission Staff Office by July 31 for the preceding 12 month period.